Geesefish? Look monkish to me. Something artsy about beaver chews. This one I shot today near Ballinger Creek, Bass River. Friday, April 12, 2019: The bay has bass, north to south, but only here or there. I’m mixing the decent reports with some skunkers. I probably shouldn’t even bring up the remarkable bite up Raritan Bay (off Sandy Hook) for two good reasons: 1) It’ll draw folks away from the LBI region; 2) It’ll rub in the fact that we might once again be out of the bass loop. Bite your tongue, knave! But how can I not point out that boats fishing for stripers off LBI have been wanting of action, any action. But, head far enough north, up the coast ... Hey, I thought I told myself to bite my tongue about such unfair things. Onward to a fishery we should soon be able to see better than those to our north. Drum roll please. The black drum crew I'm in contact with hasn’t really launched yet, though a couple of the boys are hoping to get out this weekend – iffy weather permitting. They're predicting a banner year, though whatever logic they use. Last year they preseasoned by saying it would be off ... and sure enough. 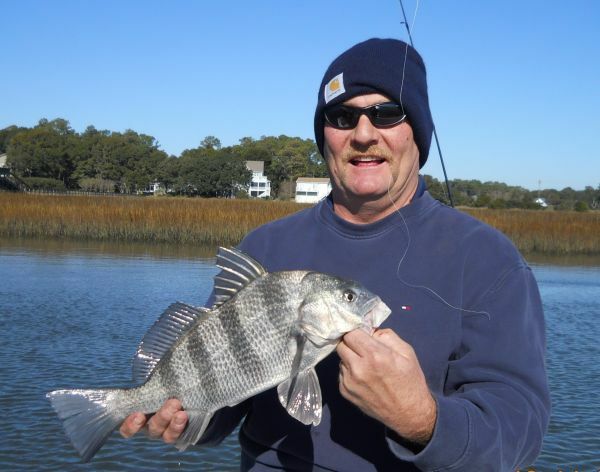 I’m not sure there’s any connection to our black drum future but down OBX way that area's other drum, i.e. the black type, have been showing quite well. I'm betting that should mean brisk drumming in Delaware Bay. Again, it’s hard to gauge what that means up here, only 60 some miles to the Bay's north. With early-arriving black drum, the simplest possible rigs rock -- literally little more than a hook (circle) and sinker. Some folks dropper the hook about 18 inches up from a tag-end bank sinker. Others go with a fluke-type set-up, with beak hook at the tag end and a droppered sinker. One of the best drum fishermen I knew – passed last year -- used the good old three-way swivel. He was one of the last drumfish listeners, going from a stethoscope placed on the bottom of his boat to a high-tech side-running acoustic mic. I will forever stand by my conviction that larger drumfish are poor table fare. I’ve only had middling success with medium (15 pounders) when fried., though many Southerners stand by their acquired taste for them. I’ll give a good to very good taste rating to small (Jersey) drum, which has a fully different meat texture than the larger ones. 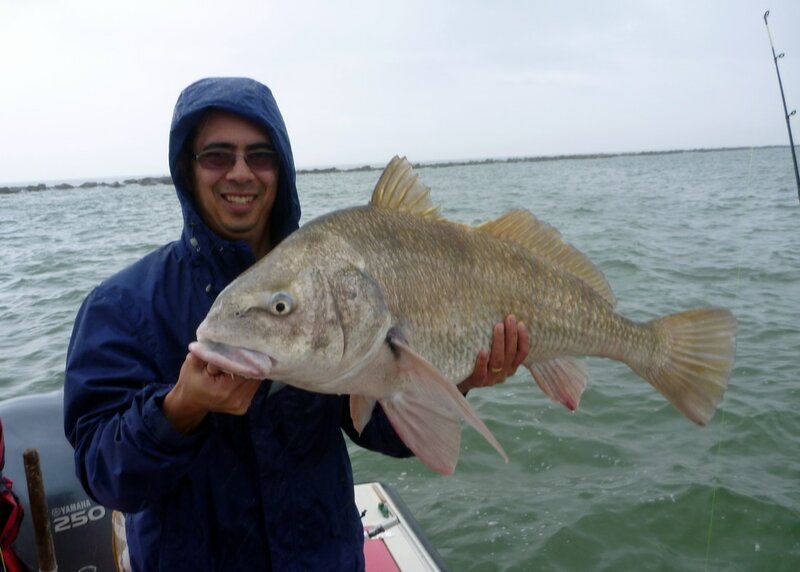 You can keep three black drum per day (per angler) with a minimum size of 16 inches. Having cleaned a goodly number of 16-inchers, these are not larger fish. I prefer fish in the 20-inch zone. They’re clean of parasites and have good slabs. Is it wrong to take them as they come into the spawn? Yes, no … maybe. This is not a heavily harvested species, yet it seems a bit iffy, population-wise. Never take the biggies. Red drum and its cousin the weakfish remain far more shaky in terms of biomasses. 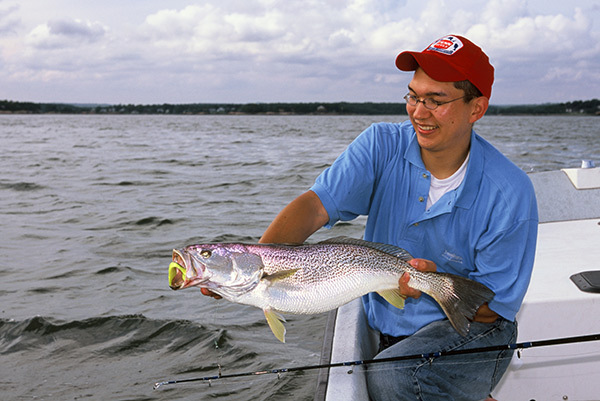 Consequently, with NJ red drum, you’re allowed one fish between 18 and 27 inches; weakfish, one fish over 13 inches. A beautiful Cape May New Jersey Red drum/ Redfish. I caught this one on a swimming mullet lure. Both these drum have suffered from overfishing, though there sure seems to be something else bugging them now. For whatever reason (bycatch? ), it has been neigh impossible to reestablish them in healthy numbers, despite stringent management practices. Philosophically, it’s seems to be a bit of a conservation imbalance when we wholeheartedly respond to even a perceived decline in striped bass – which are still out there in massive numbers – while all but blind-eyeing the likes of redfish and weakies, the latter of which just might be out for the extermination count. And how can’t the similarity be seen between the utterly beloved summer flounder, nursed to the nth degree, while winter flounder are singing their swan song. Here's some shoptalk striped bass gab to wade through. You'll get the gist of it real quick. under the current fishery management plan. increased mortality due to release mortality. The Marine Recreational Information Program uses a suite of surveys to collect information about recreational fishing. The Access Point Angler Intercept Survey is used to gather catch information directly from saltwater anglers. 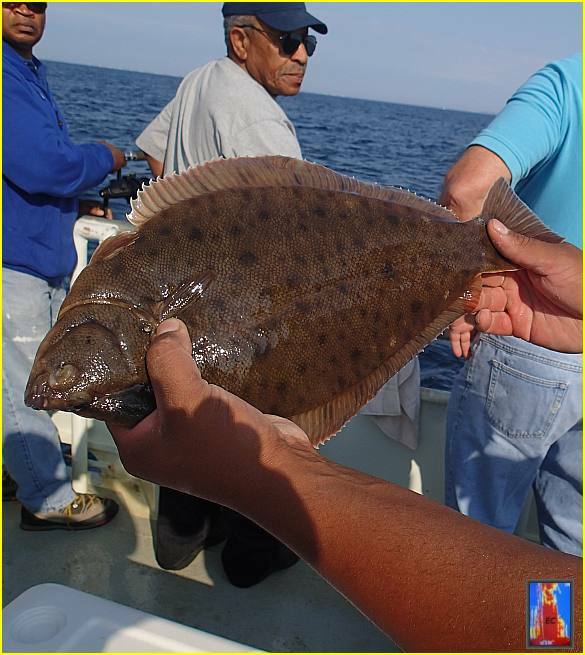 How does NOAA Fisheries collect information about recreational catch? On the Atlantic and Gulf coasts from Maine to Mississippi and in Hawaii, NOAA Fisheries works with state agencies to collect information about recreational catch through shoreside interviews with recreational anglers. These interviews are part of the Access Point Angler Intercept Survey (APAIS). To conduct the APAIS, trained, state-based field samplers visit marinas, boat ramps, beaches, fishing piers, and other publicly accessible fishing sites to interview anglers as they complete their fishing trips. During an interview, samplers measure and weigh fish that were harvested and collect information about fish that were released. Samplers play no role in enforcement, and have nothing to do with limits, rules, or regulations. These interviews are confidential, and the information samplers collect is protected under the Privacy Act of 1974. How do samplers decide where to go? Samplers are assigned to visit one or more publicly accessible fishing sites during a specific time of day. These assignments are generated through a statistical process that allows us to select a sampling of sites based on certain site characteristics, and ensures our sample is representative of the actual fishing that is taking place. Why haven’t I been interviewed? With millions of fishing trips taking place each year, it’s not possible to sample every trip that occurs or every angler that fishes. While no two fishing trips are the same, the statistical process that drives the selection of sampling sites ensures the fishermen we do interview are representative of saltwater anglers in Hawaii and along the Atlantic and Gulf coasts. What is a sampler’s daily assignment like? Samplers conduct interviews during all times of day, with eligible anglers, for the entire length of their six-hour assignment. (Eligible anglers are those who, regardless of age, have completed a non-commercial saltwater fishing trip, during which any finfish were targeted or caught.) This means you could see a sampler at night or interviewing anglers at a site where fishing activity is low. Each sampling assignment includes a date, a time interval, a “cluster” of one or two sites that should be sampled, and the order in which these sites should be visited. Why do samplers interview anglers who did not catch any fish? Our sample of recreational anglers needs to represent all fishing trips, regardless of how many fish were caught. If we only sampled anglers who returned with fish, our estimates of recreational catch would be too high. By interviewing as many eligible anglers as possible, we can gather information that more accurately reflects the fishing taking place. Why do samplers work at sites where fishing activity is low? Strict adherence to survey design is critical to collecting statistically sound data. This means samplers must follow their predetermined schedule and leave a site only to travel to another site in their assigned cluster until their work for the day is complete. While samplers do not work when the weather poses a threat to their safety, they do work when the weather is bad or when fishing activity is low. Documenting low-activity sites gives us a complete picture of what’s happening—or not happening—on the water. How many anglers are surveyed each year What happens to the information they share? State samplers interview about 111,000 anglers each year on the Atlantic and Gulf coasts. Data from our catch surveys are combined with data from our effort surveys to produce an estimate of total recreational catch. Recreational catch estimates are combined with commercial catch estimates, biological information, and direct observations of fisheries to help scientists assess the health of fish stocks. Through a public process that includes angler input, fisheries managers use these assessments to set fishing regulations that balance access to the resource and ensure its sustainability now and for generations to come. How does APAIS affect me? Our understanding of saltwater recreational catch depends on complete and accurate data provided by recreational fishermen. Taking a few minutes to share information about your fishing trip is one of the most important contributions you can make to fisheries science, management, and the sustainability of a great American pastime. 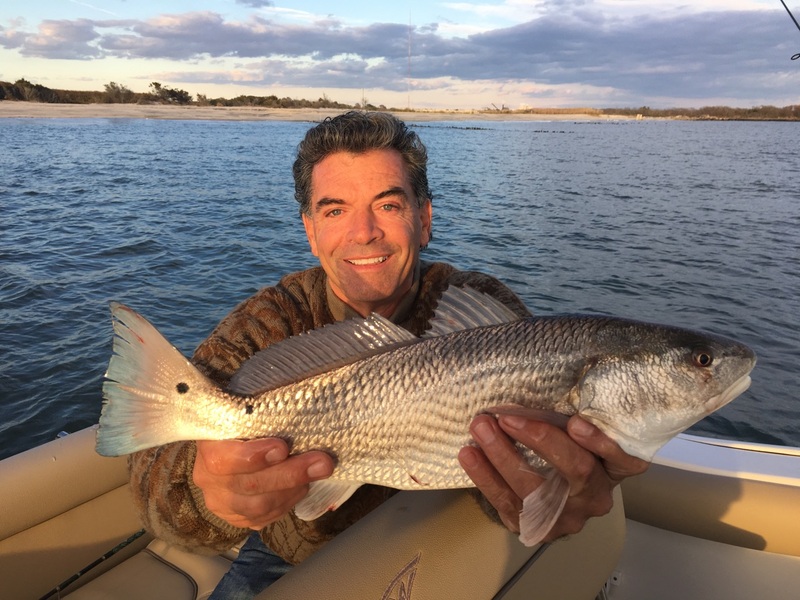 When you share information about your fishing trip with state samplers, your fishing experience—and the experiences of anglers like you—inform sound rulemaking that will safeguard recreational fishing for generations to come. I was asked to pass this on -- by some very nice folks, I should add. Oyster shell observed during acidification experiment. Lowest pH treatment has lighter weight shells and translucent areas. Most of us have heard that the climate is changing as our atmosphere deals with a massive increase in carbon dioxide emissions. While climate change gets most of the publicity, did you know that the ocean absorbs about a quarter of that extra carbon dioxide? There are pros and cons to this: the ocean provides a buffer without which our climate would warm more rapidly, but the process of absorbing carbon dioxide is making the ocean less basic and more acidic. Ocean acidification is happening in places most of us don’t regularly visit, but it has the potential to radically change conditions for the sea life we know and rely on for sustenance. The pH scale measures how acidic a substance is, ranging from 0 to 14. The lower the number, the more acidic the substance. pH 7 is neutral, neither acidic or basic. Substances below pH 7 are considered acidic, while substances above pH 7 are considered basic (or alkaline). The scale is logarithmic, meaning that as you go down by one number, a substance is actually ten times more acidic than the next highest value, for example, a pH of 5 is ten times more acidic than a pH of 6. It helps to consider examples from everyday life: Lemon juice? Very acidic, with a pH of about 2. Milk? Just under 7, which is neutral. Oven cleaner? Very basic at pH 13. Scientists at the NEFSC Milford Lab are shining some light on ocean acidification by examining how a more acidic ocean affects something we care about — the oysters, surfclams, and scallops that we eat. Changing ocean chemistry could have a variety of consequences for shellfish. It could hinder shell-building, as the calcium carbonate building blocks shellfish need to make their shells become less abundant and the surrounding seawater gets more corrosive. In addition, their metabolism, including feeding and respiration rates, could be affected. Oysters in experimental flow-through tanks during ten-week ocean acidification experiment. As the winter holidays approached in 2018, the Milford Lab was abuzz with activity as scientists took samples from two experimental systems they have designed to test what happens to shellfish when the water they live in becomes more acidic. The subjects of this first experiment were seven-month-old “seed” oysters, a term used in aquaculture to describe young oysters that are ready to be transplanted from a hatchery into a natural environment. Tests on young surfclams will get underway in April 2019. For ten weeks in November and December 2018, Milford scientists measured feeding, growth, and respiration in two groups of oysters, fed and unfed, under three different pH levels: typical Long Island Sound water at 7.8, 7.5, and a low pH treatment of 7.3. The fed experiments allowed researchers to study the effects of pH on filtration and feeding. The unfed experiments (food - in this case, algae, was filtered out of the water before it reached the oysters) allowed researchers to measure the effects of pH on the energy an oyster needs to carry out metabolic processes necessary for survival, including respiration. Milford scientists took respiration measurements, measured feeding rates, and tracked the amount of oyster food (algae), in the water over ten weeks. The two ocean acidification experimental systems used were built by research chemist George Sennefelder and research technician Dylan Redman. Shannon Meseck, a research chemist and member of the Northeast Coastal Acidification Network Science Working Group, leads the project. Oysters in chambers during a biodeposition experiment, in which feeding rate is measured. Data from the first experiment are still being analyzed, but the team has already found that shell weight was significantly lower in oysters from the low-pH treatment than those kept at the typical pH of Long Island Sound. The team is now analyzing data on feeding and respiration rates, looking for potential differences in metabolism between the treatment groups. Oysters and surfclams have different methods of building their shells. After running the experiment on surfclams, the team plans to compare their responses to find out whether they are affected by ocean acidification in similar or different ways. In 2020, the team will work with Massachusetts Maritime Academy to study the responses of sea scallops to ocean acidification. Both surfclams and sea scallops are federally-managed species, and the scallop fishery is the most valuable in the northeast. The results of this project will support forecasting of fishery responses to climate change and provide recommendations for both oyster growers and those working in the surfclam and scallop fisheries. Overall, it will help predict the effects of ocean acidification on both the ecosystem and the economy. A part of growing up is becoming aware of changes. Have you ever wondered how your neighborhood completely changes when you are walking down those familiar streets ten to fifteen years later? Now, imagine if you lived in a place surrounded with trees and found all of them have vanished when you returned from a trip? 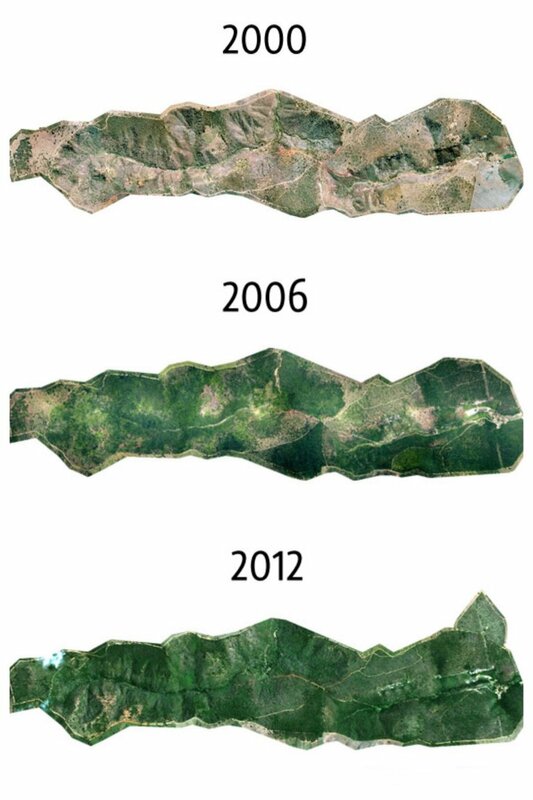 That is what happens when we have rampant deforestation taking place all over the world. We are aware of the problem, but few countries are taking any step towards it. That’s why we need to step up as individuals and make a change. Enter award-winning photojournalist Sebastião Ribeiro Salgado and his wife Lélia Deluiz Wanick Salgado. When the Brazilian photojournalist returned home after his traumatic assignment of reporting on genocide in Rwanda, he was devastated when he saw the devastation that had taken place in his childhood land. The Minas Gerais, his home, which was once a paradise of tropical forests, had turned into a barren land with no trees and no wildlife. In an interview, he described the land as sick, with only 0.5% of the area covered with forests. He had to help somehow so that his homeland did not turn out to be another wasteland that many modern forests are becoming. Salgado’s wife, Lélia Deluiz Wanick Salgado, came up with the idea of afforestation – replanting the forest. They went on to inspire people, collect funds, gather teams, and recruit partners. By April 1998, Salgado had founded Instituto Terra with the motive of transforming the barren land back to the paradise it once was. The Instituto Terra wanted to recover 1,502 acres of rainforest in the Bulcão Farm in Aimorés, Minas Gerais. In 1998, this farm had become a cattle ranch after the deforestation. It was dubbed as Private Natural Heritage Reserve (PNHR). 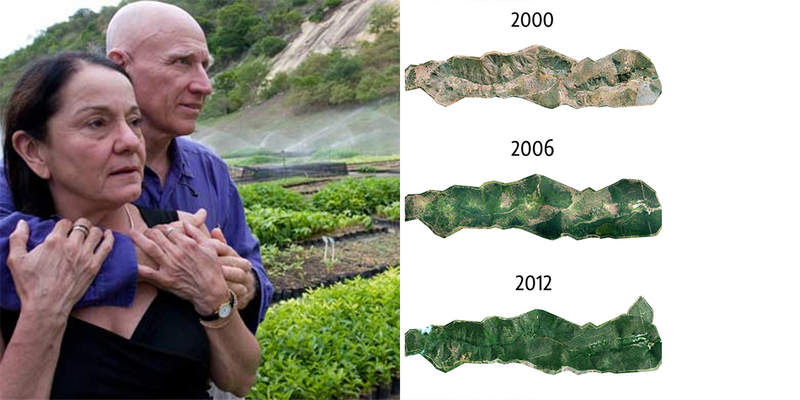 Salgado went out for the first seed planting in December 1999 and continued to do so. Since they had the motive to restore the rainforest back to the way it was, Salgado made it especially clear that the trees that were replanted should be native to the land. He had observed that if the trees were not native to the place, the native wildlife doesn’t return to it, keeping the once loud forest, forever silent. He planted over two million seedlings of 290 species of trees and more. And the result was amazing! Due to the replanting process, it was possible to stop soil erosion and as a result, the water resources present on the farm are slowly getting replenished. They are going back to the pure state of quality and quantity that they once were in. The eight natural springs that the forest hosted have come back and are flowing are the rate of 20 liters per minute. Plus, the most exciting of all developments is the return of fauna. 172 bird species have come back, of which 6 are already in the danger of becoming extinct. 33 species of mammals have returned, with two of them being vulnerable and about to be extinct worldwide. 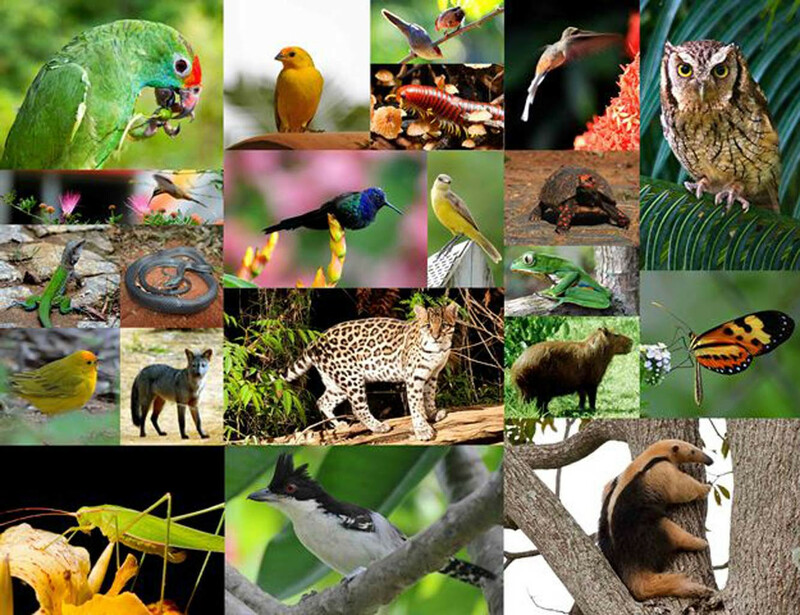 There has been a return of 293 species of plants, 15 species of reptiles and 15 species of amphibians. But that is not all that the Instituto Terra is doing. It slowly turned into a ray of hope for people who were aware of the environmental problems and knew why afforestation must be turned into a way of life. To spread this light of hope and awareness, the Instituto Terra created the Center for Environmental Education and Restoration (CERA), a place for research and education which focuses on environmental restoration. It has already looked into the different models of development that exist today and is trying to modify it to create a model that could be used for sustainable development. As a result, by December 2012, the Instituto Terra had developed about 700 educational projects and brought in about 65,000 people who work in more than 170 municipalities present in the Valley of the River Doce. It covered the states of Minas Gerais and Espírito Santo, as well as reaching out to states of Rio de Janeiro and Bahia. Salgado’s mission has been successful. Now, 10% of the PNHR is left to be restored. According to him, climate change occurs due to carbon dioxide and there is only one solution to lowering carbon dioxide – planting more trees! They are the only beings that absorb carbon dioxide and utilize it well. The science is already there – the question is: what are we doing about it? A German angler caught an absolute monster of a catfish while fishing in Italy. The beast weighed nearly 300 pounds and was over 8 feet long. Benjamin Grunder, 37 and hailing from Meiningen, Germany, thought he'd snagged a tree at the bottom of the river before he realized he had a giant fish at the end of his line. The word "giant" probably doesn't do it justice, either, as the this fish weighed almost 300 pounds. Fishing the Po in Northern Italy, Grunder fought the behemoth for 45 minutes before finally landing it. "Initially, I thought it was obstacles on the bottom, like sunken trees, that produced such a signal," Grunder said. "At a certain point, I realized it had to be a fish of monstrous proportions." Fishing with Team Black Cat, Grunder's wels catfish measured 8 feet, 8 inches in length. Taking several measurements, Grunder estimated the giant to weigh 286 pounds. That weight broke the existing Po record by 6 ounces, but unfortunately, the fish's weight remains unofficial, as it wasn't weighed on a scale. Wels catfish are the largest freshwater fish in Europe, reaching potential lengths of 16 feet and weights upward of 660 pounds. They're the largest freshwater fish in the region and have reportedly been known to attack humans. Grunder released the beast after taking its measurements and posing for photographs.